Jeanne Rose Salter was born on August 6, 1958 to PD & Virginia Oxford in Monterrey, CA. and went to be with the Lord on March 27, 2018. Jeanne graduated from Pan American University with a degree in Business, and spent 14 years of her life as a math teacher at Our Lady of Sorrows School in McAllen,TX. She went to PSJA High School where she was a bearette, but before high school she went to OLS and graduated from there in the eighth grade. She learned the love of Catholic Education from her mother, who worked at the same school as the bookkeeper. Whether she was pursuing her education or teaching mathematics, Jeanne always had an additional job as a dance teacher. For many years, Jeanne worked for Melba’s School of Dance in McAllen, where she was a senior company dance member all through her childhood, until her brother and sister-in-law (Philip then engaged to Mary Alice) opened Palm Valley Gymnastics in 1986. Jeanne then began working for the family business. Jeanne was the one who turned Palm Valley Gymnastics into Palm Valley Gymnastics & Dance. Jeanne could sew just about anything for anyone. During the initial dance recitals, she handmade every costume. Slowly but surely, the dance program grew because of the roots she began and now boasts over 500 dance students in the program per year. There are endless students who contribute their love of dance to Jeanne’s strong basics as their beginning teacher. She firmly believed that ballet was the foundation for amazing dance technique and because of this many students can describe her as strict but loving and passionate. She taught endless students how to be amazing dance assistants and eventually dance teachers themselves. She was a certified member of Texas Association Teachers of Dance, amazing mother to her two children, Brandy and Nicholas, and the most incredible nanny to every single niece and nephew of the Oxford Family. Jeanne was no stranger to strife and struggle; she had a miscarriage before the birth of her son, Nicholas. She persevered through her daughter’s traumatic car accident and later, her husband’s sudden death. Shortly following, she remained strong through, not only her father’s death, but the passing of her mother (who helped her tremendously with Brandy). Through it all, she remained a devoted Catholic, always finding a way to attend mass regardless of where her travels took her. Jeanne was selfless throughout her life and never failed to lend a hand when it was needed. Jeanne is preceded in death by her mother, Virginia Mettlach Oxford and father, Peter David Oxford, husband, Bobby Salter and all of her paternal and maternal grandparents. 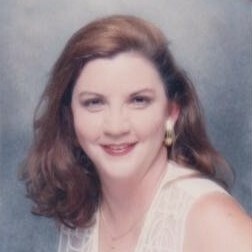 She leaves behind her two loving children, Brandy Lynn Salter and Nicholas Loren Salter along with her siblings, Philip (Mary Alice) Oxford, Martha (Rodney) Kaase, Mayme (Andrew) Bauer and Peter and Elizabeth Oxford. She will be incredibly missed by every niece and nephew as well as her grandson, Jase. Visitation will be at Buck Ashcraft Funeral Home in Harlingen, TX beginning at 5:00pm on Monday, April 2, 2018 with a rosary to follow at 7:00pm. The funeral mass will be held at St. Anthony Catholic Church, Harlingen, TX at 10:00 am on Tuesday, April 3, 2018. Burial will be private. In lieu of flowers, donations can be made to St. Anthony Catholic School, 1015 E. Harrison Ave. Harlingen, TX 78550.